Safety Green & Safety Orange are 50% cotton, 50% polyester. Pocket provides a formal touch. Ribbed cuffs keep chilly air out. 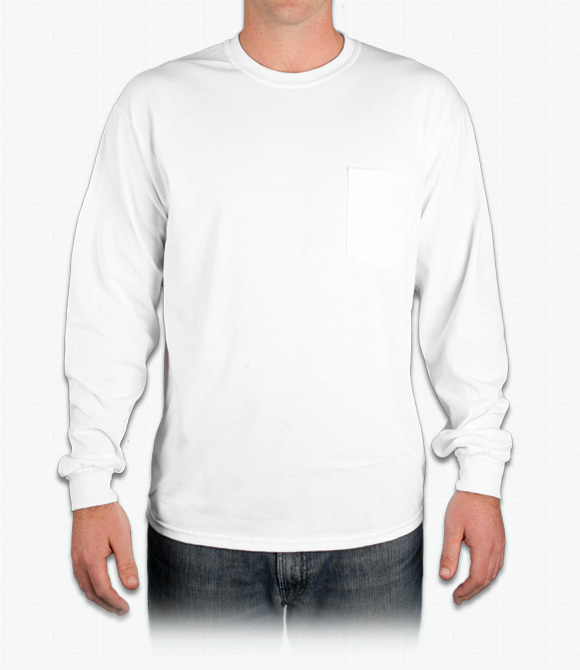 You'll look great in this affordable and stylish shirt! "The t-shirt came out horrible. The font is blurry and unreadable. It seems to have appeared that the font got smudged during the creation of the t-shirt. I would like to request a refund and mail the t-shirt back to your company. My order number is 809098. I submitted a claim online and included pictures. After I submitted my claim online complete with pictures, the next screen that popped up said that this claim could not be processed b/c there were already multiple claims on the same order. This is the first time I made a claim online. I have attached a picture of the defective t-shirt, in which the font is blurred/smudged. Please refund my money back to my Visa Credit Card. "